3 Bedroom Flat For Sale in Glasgow for Fixed Price £74,000. A well proportioned 3 bedroom main door upper cottage style flat, well positioned within this popular residential area. This is a sought after property type which has a lot of potential for those buyers looking to put their on stamp on things. Accommodation comprises: Entrance hall. Lounge. Kitchen. 3 bedrooms. 4 piece bathroom. Gardens. 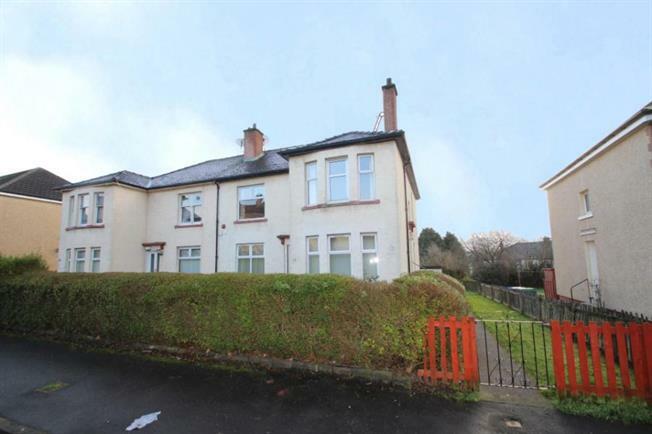 All-in-all this is a superb opportunity to aquire this rarely available property type. Early viewing is advised to avoid disappointment.